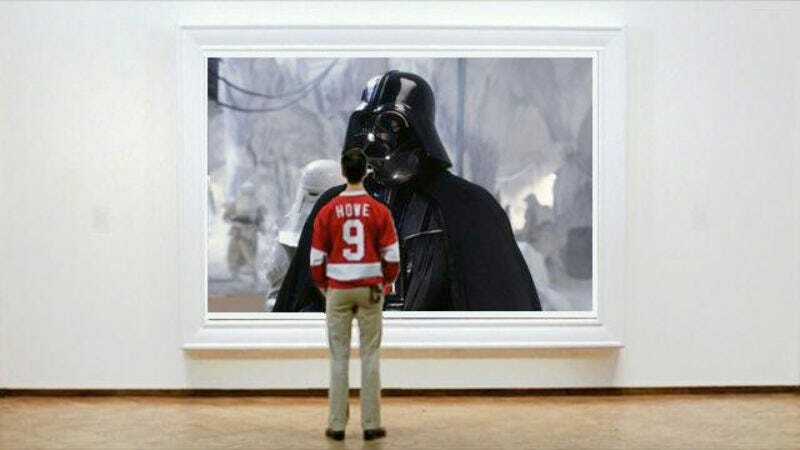 Back in June, we reported that Chicago had finally defeated every other major city in a non-sports competition by convincing Star Wars creator George Lucas to establish a museum on the city’s lakefront for some reason. Dubbed The Lucas Museum Of Narrative Art, the building is set to house select pieces from Lucas’ extensive art collection as well as a bunch of Star Wars memorabilia—truly the only art that matters. Now, thanks to Gizmodo, we have an idea of what the museum will actually look like when its finished. Lucas has always been hesitant to put his name on things that look really stupid, so, unsurprisingly, The Lucas Museum is going to look like a totally normal structure that’s not weird at all. Nah, just kidding. It was designed by avant-garde architect Ma Yansong, and, judging by the preview images, it’s going to look like a tent monster that’s slowly devouring the city. Really, should we have expected anything less? The Lucas Museum is still pretty far from being completed, especially considering that—as Gizmodo notes—some fuddy-duddies in Chicago don’t see the benefit of putting a goofy-looking museum named after a guy with no real ties to the city on its lakefront. That shouldn’t be a problem for Lucas, though, as he’s never let naysayers doubting his vision stopped him before—even when it absolutely should have. You can see some renderings of what the museum might look like below, and head over to Gizmodo for a more detailed description of what’s going to be inside this crazy mountain thing. Apparently, the top ring will be an observation deck and—hopefully Star Wars-themed—restaurant that are open to the public. Also, it’s worth pointing out that most of the grassy areas seen in these images are currently parking lots, so even Star Trek fans should be able to recognize that The Lucas Museum has some benefits. Either way, we just want this to happen so it legitimizes the joke we made about Star Wars memorabilia being the only art that matters.